Trying to ban guns was not successful – next: Ban on bullets! In other words, EU is currently asking for public feedback on commission plan to ban lead (and copper) on ammunition – using the environment as an excuse. 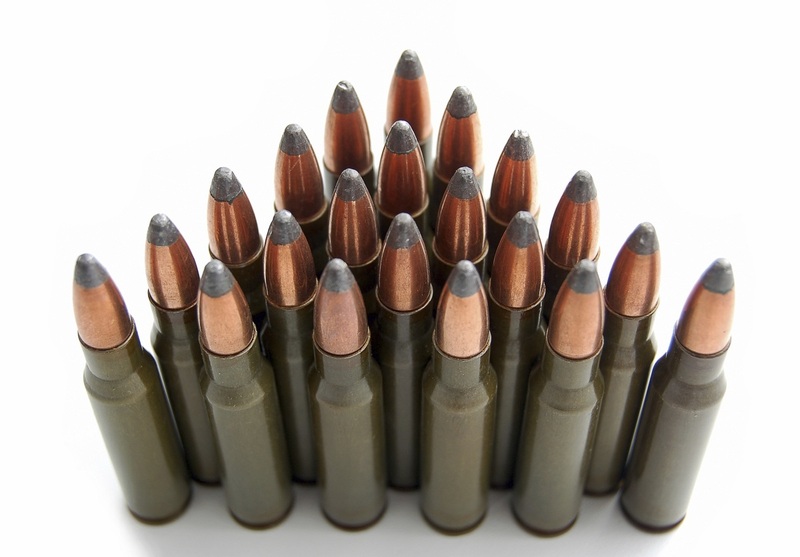 The attempt to ban concerns  ammunition which contains lead in concentrations greater than 1% by weight, for shooting with a shot gun within a wetland or where spent gunshot would land within a wetland, including shooting ranges or shooting grounds in wetlands. And in addition there is another parallel study on restriction on ”other ammunition” meaning lead-based rifle and pistol ammunition. In other words – pretty much all ammunition. The definition used for defining the wetland is the following  “areas of marsh, fen, peatland or water, whether natural or artificial, permanent or temporary, with water that is static or flowing, fresh, brackish or salt, including areas of marine water the depth of which at low tide does not exceed six metres”. The Ramsar definition of wetlands is a comprehensive and internationally recognised definition but it means that lead bullets will be banned up to 24,3% of surface area in for example Sweden. All current rifles would not be usable anymore. This includes pistols as well. Long range shooting would become impossible for civilians. This is because for any kind of accuracy bullet stability is essential. The issue comes from barrel twist, which is usually calculated with Millers formula which is slightly improved version of classical Greenhill formula, which indicates that bullet material density matters – when for example calculating values for .308, for which barrel twist is usually 12 inches with traditional lead ammunition, corresponding rifle twist for example copper bullets would be about 9,5 inches. This means that your expensive rifle just became unsuitable for ammunition currently available. It pretty much makes sportshooting impossible by banning .22 ammunition, which we all know is mostly lead. Steel, which is considered to be suitable ”cheap” enough alternative wears out barrels like there is no tomorrow. It is also classified in many countries as armor piercing round material, which means steel bullets are banned. Not all shotguns are rated for steel shots. The hunters would have to in some cases buy new shotguns. The public consultation on this proposed restriction will start on 21 June 2017 and end on 21 December 2017, which means that YOU should provide feedback as soon as possible to by reading and providing information according to document  . It is of utmost importance to get involved in this, both on as individuals, and as hunting and sport-shooting organizations because, ECHA considers only the environmental perspective – which according to past does not pain a pretty picture. – Spread information. Get your own hunting and sport shooting association to participate and provide their statement for the public consultation! Provide statement as an individual. Clock is ticking! The UK government already tried this, due to pressure from ecology and wildlife protection groups. Lead shot is already banned for shooting wetland birds, (goose, duck, moorhen and coot), in the UK, regardless of whether they are flying over wetlands or not. These groups claimed the ban was being ignored by shooters who found the alternatives ineffective or too expensive. They bought wild-shot duck from a London shop and found that 7 out of 10 ducks contained lead shot. Based on this, they claimed that 70% of wildfowlers were ignoring the law. Although the stated intention was to prevent birds ingesting lead shot and preventing lead entering the food chain, their aim was to ban ‘all lead ammunition’, which included bullets used on target ranges, which would neither be ingested by birds, nor enter the food chain. A Lead Ammunition Group was formed in 2010, which finally published a report in 2016, recommending that ‘all lead ammunition’ should be banned. This was despite the fact that every member of the group, with a link to shooting, farming, or the game trade, resigned in disagreement, leaving only the ecologists and wildlife protection representatives. There was a public consultation and a lot of misinformation, such as claims that recent flooding was due to the maintenance of grouse moors, aimed at alienating wildfowling. A petition was organised by the National Rifle Association to counter the lead ban but the response was poor, with only 23,942 signatures out of the reported 150,000 UK shooters, probably due to lack of publicity. Despite this, the government decided that the report did not show that, ‘the impacts of lead ammunition were significant enough to justify changing current policy’. They therefore rejected the finding of the group, thus saving the sport of target shooting in the UK. Keep in mind that we already have a lead shot ban for shooting geese, ducks, moorhen & coot in England & Wales and a ban on shooting over wetlands in Scotland, (which covers a huge area). A petition must be organised to counter the lead ban proposal, to run concurrently with the public consultation. This needs to be widely publicised to all shooters, as all shooting will cease if the ban becomes law.